From Céline hit-writer Stephan Moccio to Michelle Wright, the story behind nine musicians who launched their careers in the city. ​London, Ont., may be one of Canada's smaller cities, but it punches like a heavyweight when it comes to music. Some of the biggest musicians in the world are from London, or connected to London: legendary producer Jack Richardson, techno legends John Acquaviva and Richie Hawtin, country star Michelle Wright, soprano Adrianne Pieczonka and hit-maker Stephan Moccio all have ties to the Forest City. As host city for the 2019 Juno Awards, London is shining a light on its musical hotbed. And as part of its Junos coverage, CBC Music has created a TV show, CBC Music presents London Calling, that tells the story of how influential London is on the Canadian and global music scenes — and why it makes so much sense as a Junos host city. Watch the full episode of London Calling on Sunday, March 17, via CBC-TV at 5 p.m. ET or on-demand via CBC Gem as of March 11. Below, we dive into the stories behind nine of the musicians who have launched their international careers from London. 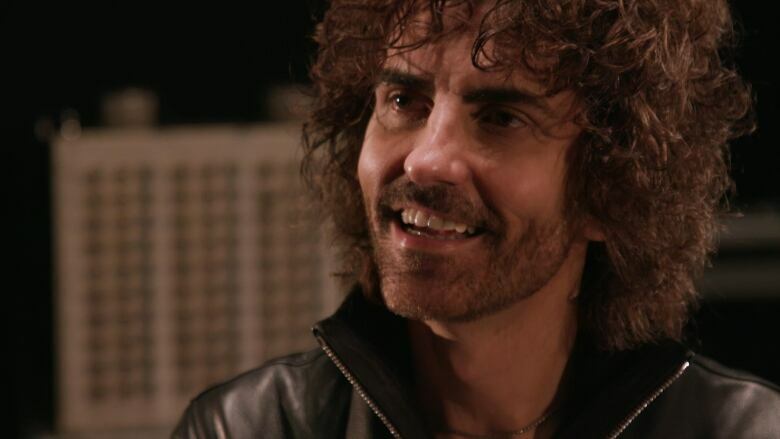 Read on to find out how Grammy and Oscar-nominated Stephan Moccio first convinced his way into a meeting with Céline Dion, which big-name artists Jack Richardson has helped shaped and just how Michelle Wright got the money for her debut album — which provided Reba McEntire with three new songs. Céline Dion, the Weeknd, Miley Cyrus, the Orchestre symphonique de Montreal and the Los Angeles Philharmonic all have ties to London, Ont., thanks to one songwriter: Stephan Moccio. Born in St. Catharines, Ont., Moccio chose to study at Western University because he "felt that London would be the right place for me to sort of hide for the next three to five years and just kind of hone in on my craft," he recently told CBC Music. But before the pianist would go on to hone what he needed to write ballads and pop hits of Grammy- and Oscar-nominated proportions, he would track down a mentor: David Foster, composer and producer for names like Céline Dion, Donna Summer, Chaka Khan, Barbra Streisand and Madonna. "I had looked up to [him] for years for obvious reasons," Moccio explained. "Number one, he's a pianist; number two, he's Canadian; number three is just he's amazing." In those early years in London, Moccio sent Foster a cassette of a piano-driven song he'd co-written with a friend from university called "How to Win Your Heart." Moccio says he wrote "an impassioned letter" to Foster, and did actually hear back — at first as a missed connection on an answering machine, then eventually over the phone. "There's nothing, there's no magic wand that I can wave, I just want to tell you that, you know, from what I've heard on this, and your letter, that you've got all the chops to kind of go all the way," Foster reassured Moccio when they finally connected. It was the beginning of a now 20-year mentorship. It's a blunt tactic that would lead Moccio to write Dion's comeback song "A New Day Has Come," the followup to her hit 1997 album Let's Talk About Love. "Every bloody songwriter in the world wanted to be part of Céline Dion's comeback album," Moccio remembered. Now, 15 years later — having songs like Miley Cyrus's "Wrecking Ball," the Weeknd's "Earned It" and the 2010 Winter Olympics theme song under his belt — Moccio is turning full circle: "I'm privileged again to be back in [Dion's] life working on such beautiful music that's going to come out over the next year," he says. "It's the story between Céline and I, and David for that matter as well, [that] fairytales are made of." Heralded as the "godfather of the Canadian music industry," Jack Richardson's influence is deeply embedded into this country's rock foundations. A musician-turned-producer, Richardson worked on more than 240 albums, most notably propelling the career of the Guess Who in the '60s. As frontman Burton Cummings notes on London Calling: "He kept the train on the tracks for 14 albums and I think we owe him a great debt of gratitude." Although Richardson went on to work with the likes of Alice Cooper and Bob Seger, the producer showed a strong dedication to Canadian music. In 1968, he co-founded Nimbus 9 Productions, a production company that would draw domestic and international artists to Canada to make music. Richardson also played an integral role in establishing Canadian content regulations, specifically setting up the Canadian Independent Record Producers Association (CIPRA), ensuring that there would be space on the airwaves for homegrown talent. Teaching was also a passion of Richardson's. In 1995, he began teaching audio production at the Music Industry Arts program at London's Fanshawe College. "When I came up in the business, we didn't have anything like this," he once explained. "So many of the top people that are in the music industry in Canada right now were taught by Jack," added Dan Brodbeck, a producer as well as a coordinator at Fanshawe's MIA program. In 2002, a TV documentary titled Adventures in Rock, about Richardson's career, aired. That same year, the Juno Awards renamed their Producer of the Year Award to honour him. And in 2003, he was inducted into the Order of Canada. 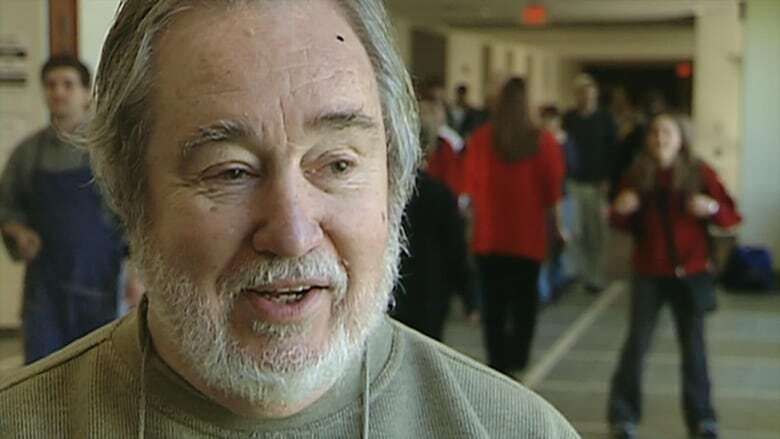 Richardson died in 2011, but his impact on Canadian music lives on through his historic records, his teachings and those he mentored, including David Foster, Bob Ezrin and his own son, Garth, who expanded his father's production company to include the Nimbus School of Recording Arts. 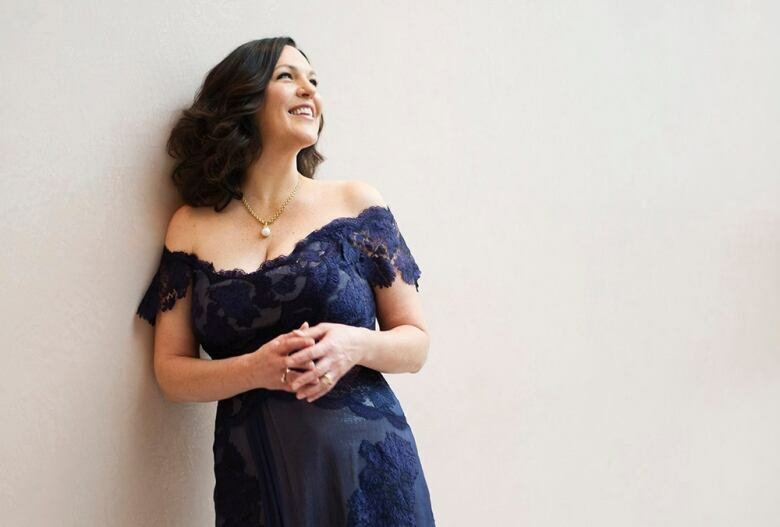 The Vienna Staatsoper, the Royal Opera House Covent Garden, the Metropolitan Opera, Teatro alla Scala — soprano Adrianne Pieczonka's journey to the great opera houses of the world began at Western University in London, Ont. She did a bachelor of music there in the early 1980s, but in fact, Western U wasn't her first choice. "I desperately wanted to go to the University of Toronto [but] I didn't get in and I was really broken-hearted," she told CBC. "My mother said, 'Are you sure you don't want to maybe try another university?' and I said, 'OK.' So we got some applications in and I got accepted at Western and, you know, it was for the best. I was so happy there." Pieczonka recalls the faculty of music's stimulating environment. "My roommate was a local clarinet major from a farm near London and we hung out with a trumpeter in the brass department and the guys that were in the jazz department. It was welcoming and warm." While there, she sang in a production of Gilbert and Sullivan's Pirates of Penzance and took part in performances of opera scenes. "It really started that kernel of excitement for performing [and] gave me a wonderful education from the ground up — building the voice, learning languages." From there, she furthered her studies at U of T before making her debut at the Canadian Opera Company in 1988. Soon, she established herself in Vienna, London, Berlin and New York as a box office draw for her performances of Puccini's Tosca, Strauss's Chrysothemis, Wagner's Sieglinde, to name only a few of her acclaimed roles. 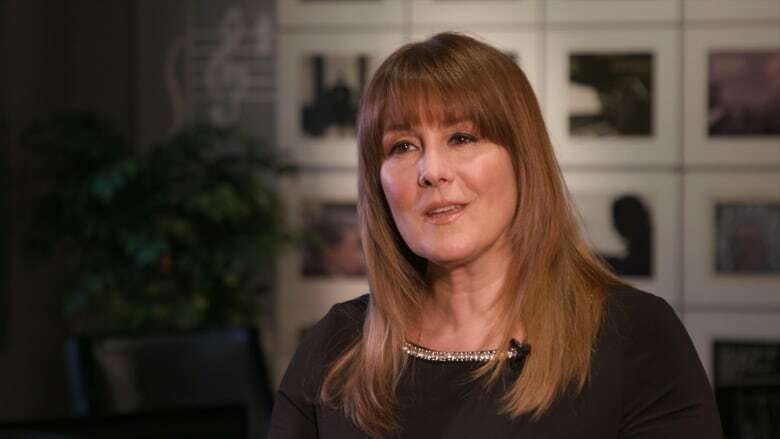 Now, Pieczonka's face graces a Canadian postage stamp, she holds honorary doctorates from Western University and McMaster University, and the Royal Conservatory of Music in Toronto recently appointed her as head of the vocal department at its Glenn Gould School. In May, she sings in the Metropolitan Opera's production of Poulenc's Dialogues des Carmélites under the direction of Yannick Nézet-Séguin, which fans in Canada can hear on CBC Music's Saturday Afternoon at the Opera on May 11. Her album Puccini: Soprano Arias won a Juno Award in 2011. 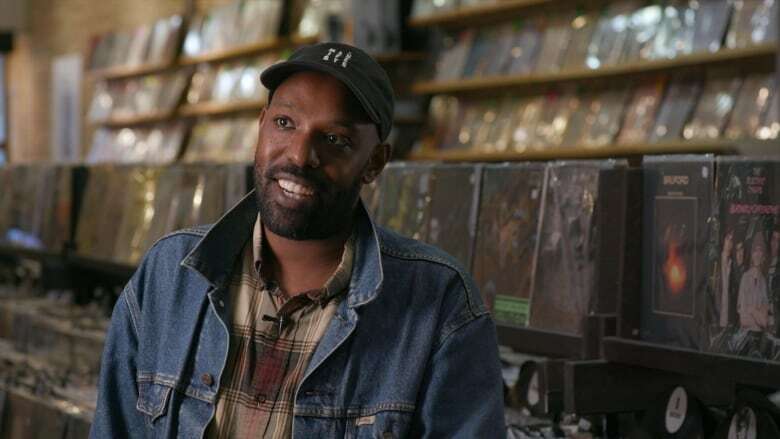 While London, Ont., has helped foster great artists in the electronic, classical and country realms, one of the city's greatest talents in recent years has been rapper Shad. Born Shadrach Kabango, the Juno winner was born in Kenya but raised in London after his parents fled the 1990 Rwandan genocide. Shad calls London the "most regular place in Canada" but adds that his upbringing "shaped my outlook. That, and my parents' perspective, which is super pragmatic. Just do what you need to do to survive." That pragmatism led Shad to pursue a degree in business at Wilfred Laurier, and later, a master's in liberal arts at Simon Fraser University in British Columbia. While he was at Laurier, he won $17,500 from Kitchener, Ont. station 91.5 the Beat's Rhythm of the Future competition. He used his winnings to kick-start his hip-hop career with his 2005 debut album, When This is Over. Two years later, he followed that up with The Old Prince, the first of three Polaris Music Prize-nominated albums. TSOL, his third full-length release, secured him his first Juno Award for rap recording of the year, beating out, among others, up-and-coming rapper Drake. Unlike Drake and those who have followed in his footsteps, Shad doesn't adhere to trendy beats and flows that are often inspired by scenes outside of Canada. Instead, he carves out his own musical path, focusing on tough but universal subjects that skip over the bravado in favour of something more grounded — what some have deemed a rather Canadian quality in his work. Shad served as the host of CBC's q from 2015-2016. Soon after he left, he took on a new project, a documentary series called Hip-Hop Evolution that dives into the history of the genre. The series, which aired on HBO Canada and was then picked up by Netflix, went on to earn a Peabody Award, an International Emmy Award and two Canadian Screen Awards. Before Tommy Hunter was Canada's Country Gentleman, welcoming a who's who of country music stars to his weekly CBC-TV show, he was a boy from London, Ont., who pestered his dad for a guitar. A turning point came when Hunter was nine years old and he attended a concert by Roy Acuff at London Arena. "In those days he had probably the best road show of anybody," recalls Hunter. "Roy enjoyed sharing the stage with other people. All told, he was a man who set a very high standard for the performers in our business." Hunter decided on the spot that he wanted to make a career in country music. He honed his guitar skills playing in churches and veterans' hospitals around London and eventually started getting paid gigs. In 1960, he was hired as a rhythm guitarist on a CBC-TV show called Country Hoedown and made such an impression that five years later, he had is own show. The Tommy Hunter Show took over Country Hoedown's Friday evening time slot in 1965, emulating the convivial format Hunter admired so much in Acuff's travelling show. 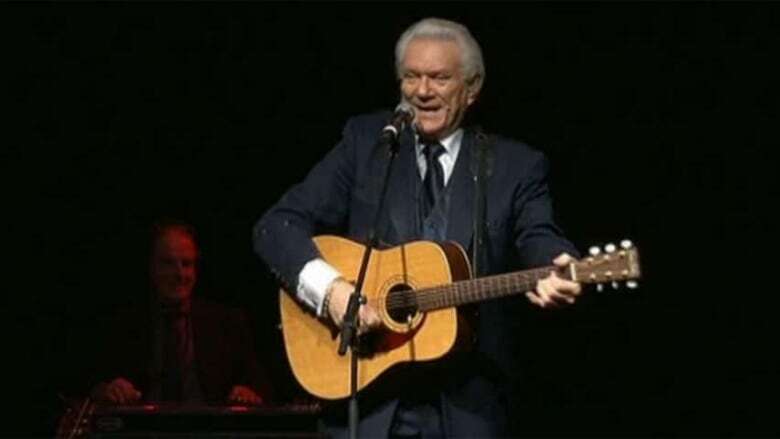 The Tommy Hunter Show aired for 27 years, and featured every major country act in North America — Johnny Cash, Gordon Lightfoot and Anne Murray among them — alongside up-and-comers including Garth Brooks, the Judds and Shania Twain. The show ran until 1992, at which point Hunter and his band continued touring. He became a member of the Order of Canada in 1986, and received Lifetime Achievement awards from the Ontario Country Music Association and the Canadian Gospel Music Association, among many other distinctions. In 2018, CBC's The National interviewed Hunter ahead of his cross-Canada farewell tour. 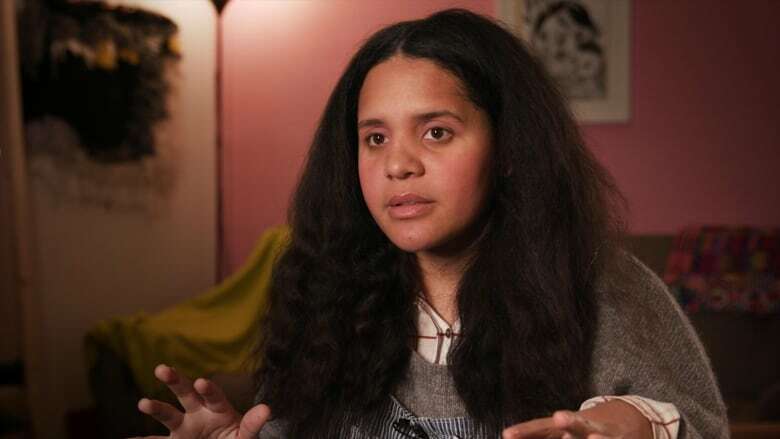 Immigrating from Colombia, Lido Pimienta first found refuge from racism and the cold Canadian winters in the Beal art studios in London, Ont. "I hope that the Aryan specimen who told me to go back to my country two weeks after arriving in London, Ontario, Canada is watching this." That is how artist Lido Pimienta opened her 2017 Polaris Music Prize acceptance speech. For Pimienta, who relocated to Canada in 2005 during a Colombian civil war, identity, race and politics are at the centre of everything she creates, and both the positive and negative experiences she's had here have fuelled her greatest work. While her Polaris anecdote paints a distressing portrait of Pimienta's time in London — she's now based in Toronto — the multi-disciplinary artist also credits an institution like London's H.B. Beal Secondary School art program for helping her realize her potential. "I was able to really spread my wings and experiment and figure out how I was going to use that power once I was out in the world," she recalls. "When I was at Beal, I just belonged there and I was a star there ... I don't know what my life in Canada would've been. Maybe I would've ended up working in a bank." In 2010, Pimienta released her debut album Color. It would take six years for her to release another record, her Polaris-winning La Papessa, but through her music, her presence in the Canadian indie-rock/pop music scene and her outspoken personality, Pimienta has quickly become an important force in Canada for women and people of colour. In an interview with Now Magazine, Pimienta asserted that she's "still the one brown girl among all these white men," but her unwavering fight for diversifying a historically white and male music industry is leading — and inspiring — a new wave of artists who demand to redefine the way art is canonized in Canada and beyond. While Michelle Wright grew up in the small farming community of Merlin, Ont., it was in London where the Fanshawe College student got the money for her big break. London's BX 93 radio station hosted a talent contest called Country Roads, and when then Canadian country queen Marie Bottrell named Wright the winner of that contest, the prize money directly funded the singer's debut album, 1988's Do Right by Me. Reba McEntire would pick up and re-record three songs from the album — "Do Right by Me," Wish I Were Only Lonely" and "New Fool at an Old Game" — and put them on her own 1988 release, Reba. Soon, Wright was on her way to a Nashville record deal with Arista Records, though she'd already made a significant name for herself in Canada. "Nashville was just sort of a crazy dream of mine and I always believed I was going to find my way there, which supports that idea I think about believing it and seeing it and visualizing it and never imagining that it's not going to happen, you know?" Wright recently told Emm Gryner for CBC's London Morning. "And so I loaded up my whole Canadian team — I brought my band, I brought my management, I kept working with my PR team up in Canada and we just all moved down here and then again hit the road non-stop. It was one of the most exciting times in my life." Two Juno Award wins, 13 nominations, 25 charting singles, two double-platinum records and more than 30 years later, Wright took her place in 2011 alongside Tommy Hunter, Buffy Sainte-Marie, Anne Murray and Sylvia Tyson in the Canadian Country Music Hall of Fame. "That life on the farm in that small town [of Merlin] I think really paved a good solid road for me." London's own John Acquaviva and his musical partner Richie Hawtin, a.k.a. Plastikman, were pivotal in moving electronic music from basements to stadiums. In the early '90s, as techno was exploding, Acquaviva and Hawtin founded Windsor-based Plus 8 Records. They were soon DJing for millions and revolutionizing the industry with new technologies — all of which started thanks to a mutual friend travelling between Windsor and London. That mutual friend, Karl Kowalski, worked at a record store called Dr. Disc, which had locations in both Windsor and London. Kowalski kept visiting London and, upon his return to Windsor, would say, as Hawtin recalled it to CBC Music recently, "Rich, you have to meet this guy John Acquaviva, he's a complete freak about techno, record collector and, you know, you guys can do something." "The rest is kind of history," Acquaviva told us. "We met. And the second time we decided to do some music and we launched a label called Plus 8 out of Detroit, hanging our hat to the techno sound of Detroit." Hawtin and Acquaviva later would co-found and pioneer Final Scratch, a program that allowed DJs to play digital files using analog records, followed by Beatport, the iTunes of dance music. They opened a global market for electronic musicians and DJs. "They never tried to keep their audience out of the game," says George Stroumboulopoulos. "Right? It was about participation and they were trying to empower people to make this music, to participate in this culture. So it wasn't just making music or selling out shows or travelling around the world ... they were culture-building…. They tried to give you access to their life and access to their skills and then you could also participate." The original version of this story referred to the University of Western Ontario, but it was rebranded to Western University as of 2012.